Penetrating greases protect against rust and corrosion, lubricating the friction surfaces: they are indispensable for all garages and service stations. They also help to restore the mobility of mechanical joints, clean any dirt from parts, defrost assembled items and remove moisture. Penetrating greases are recommended to use for, not only automobile parts, but also for other mechanisms or equipment. The product will not affect plastic, wood, rubber or paint and lacquer finishes. There are several types of penetrating greases for different purposes. The Universal greases are manufactured in both gels and sprays. The product contains Revitalizant which helps to lubricate and restore any mechanism, component, joint, equipment and even sport and military weapons. 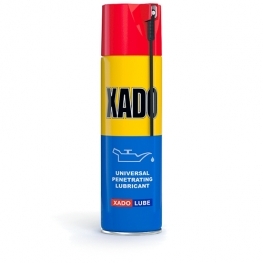 You can buy these penetrating greases and other automotive products at reasonable prices from our on-line store xado.co.uk.